Scuba diving is one of the great adventures that one can take to explore the vast wonders of the underworld that cannot be seen on the surface of the water. This is an underwater activity where the diver utilizes breathing equipment or scuba apparatus to be able to stay underwater for longer period of time. To those who are less knowledgeable about scuba, the name was actually derived from its acronym of “Self Contained Underwater Breathing Apparatus”. Scuba diving can be both a recreational and professional diving activity. 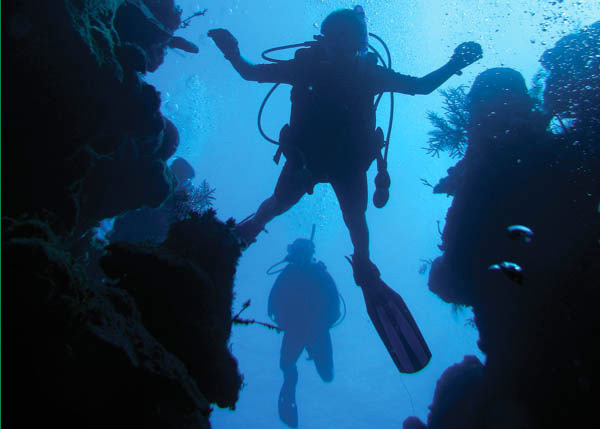 Scuba diving activities are present where open waters and reefs are located. It is mostly ideal in clear tropical oceans where you can gaze from a long distance and see the sea life that inhabits it. Although there are many famous scuba diving spots around the world, it doesn’t necessarily mean that you have to limit your adventure to these vacation destinations. There are still multitudes of oceans, lakes, and seas that are perfect for scuba diving. The only thing that you should remember is the right scuba equipment, the proper scuba diving suit, and other scuba diving accessories, and how to survive underwater. You can experience all the fun that scuba diving promises provided you are able to understand what safety is all about underwater. Although scuba diving activity can be most exciting and thrilling to think, once you confront the seascapes beneath the seawater the experience could be a lot different. If you’re not experienced enough in the activity, you might find yourself lacking the ability to embrace the true essence that diving should suppose to provide you with. Even professional and experienced divers do not think they have enough knowledge. In fact, they never contradict the idea of continually equipping themselves with a new knowledge or two. The sea world is not for humans, but rather to sea creatures. Humans are not like these creatures that have full understanding on the world underwater which accounts on how they survive on their own. The sea masks a very deceptive façade. It may be captivating to look at on its surface but when you descend into its real world you will find its true inhospitable nature where sea creatures that inhabit it can be traitors to humans. It is for this matter that divers should be able to learn of the unreceptive sea world because safety is the real issue here. If you think you are not capable yet to carry on with underwater activities, it would be best for you to take scuba diving lessons. You can enroll in scuba diving schools and there you can acquire all you need to know about the seawater adventure. Classes will tackle everything starting from the proper wearing of the scuba diving gears such as the air tanks, gauges and facemasks to jumping into the water with full gear on. If you’re a neophyte in the activity, you may feel weird and strange swimming with those suits and gears on but you will outgrow this feeling. Scuba diving schools typically use pool dives as their facilities from which scuba diving students are trained first. This is the part of the lesson from which you can discover if you got the potential to become a professional in the industry. 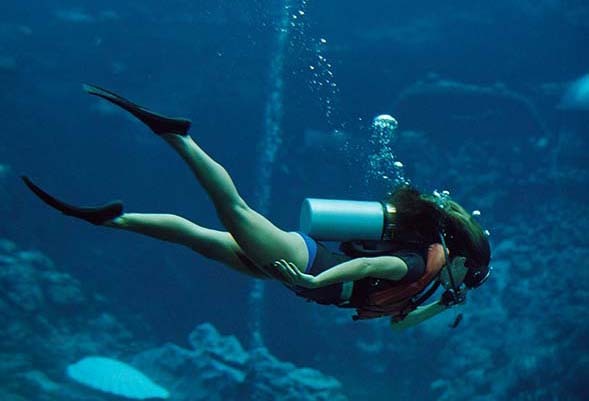 The average starter scuba diving course will usually take four to eight weeks of training. During this time, you should be able to learn enough to take your first recreational scuba diving activity. Failure to do so would mean taking another course of the lesson.